Every bride wants to look amazing on her wedding day. However, having your makeup done doesn't have to mean looking too makeup. With my working experience, I know the importance of your makeup being picture perfect, long lasting and looking beautiful in eyes of your guests. During the process of trial makeup application, I will take the time to get to know the real you. Our clients never leave with "customer remorse". She has complete confidence with her new look and still feels looks like herself. Opening the door to self experience is the real art of make-up artistry. 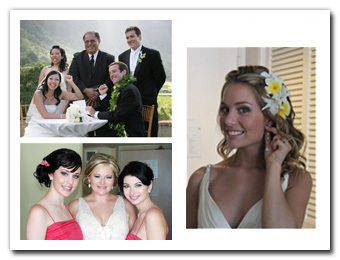 We use only the best makeups, such as Bobby Brown, Channel and because I work on your site, you can conveniently have your makeup done where you need to be on your big day. We have added an airbrush to our services in response to an overwhelning demand for additional service and no extra cost to you. 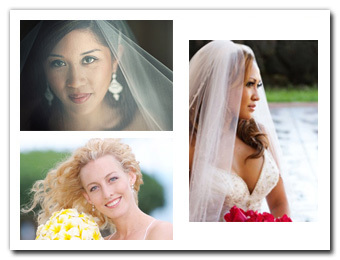 We have the expertise to make you look as great as you'll feel on your wedding day. We hope you will stop by and enjoy.